-Hexaholes - Inspired by the proven pattern of Maryland-style chicken wire traps of The Chesapeake Bay. Boot treads go in, but they don't come out. -King Sized - It's gigantic, yet it still fits every size snowboard and any size boot. -C-Foam - Our specifically formulated rubbery foam blend that's lightweight, heavy duty, and grabs like a crab. -Screw Glue - Glued on. Like it was screwed on. There is no greater brand than Crab Grab when it comes to stomp pads. Because of this particular stomp pad’s size, you will get traction for your feet any way to cut it. Simply, it rules. Keeps me from falling when getting off the ski lift. Also looks cool on most boards. This is the best stomp pad I've had over the many years I've snowboarded. 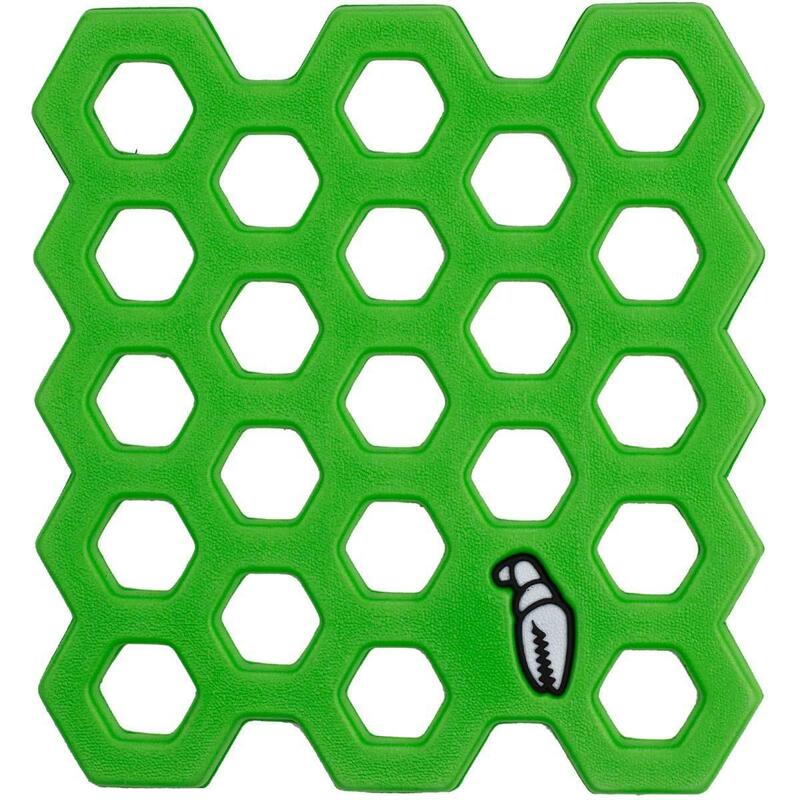 Covers a large area, and is easily cut to surround a burton channel. It's large enough to fit even the biggest feet, get one for all your boards. Awesome for keeping your boot on the board when getting off the ski lift!